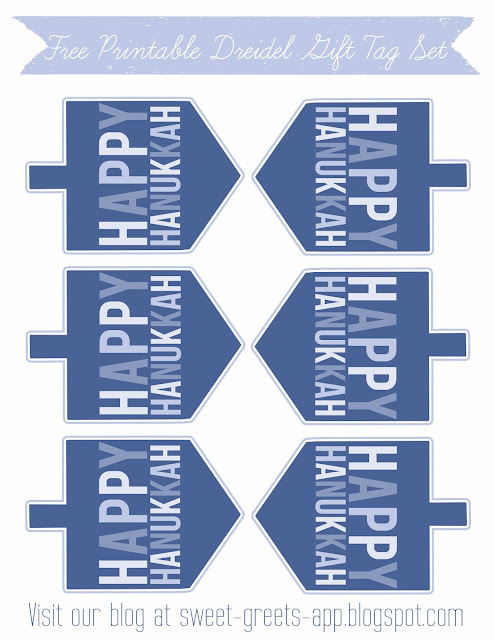 Here's a set of dreidel-shaped Hanukkah gift tags for you. And, you know what? They could also be used as lunch notes. Just click the image above to download. Enjoy!